Have you ever painted something to have it turn out with a less-than-perfect finish? It can be frustrating to have to re-do something until it’s perfect. Here are our reasons why a paint booth will give you a perfect paint job, every time. Keep little pieces of dirt off your paint! If a job is sprayed in workshop conditions, dust can contaminate the paint. A paint booth can protect your project from dirt, dust, dry patches, and runs in the paint. Paint booths have exhaust systems and filters, which remove atomized spray from the air. This creates a clean and dust free environment. It’s like baking cookies, make sure it’s the right temperature. In a workshop, the spraying temperature is dependent on the local climate or heating systems and this makes it more difficult to maintain optimum spraying temperatures. If painting in conditions that are too warm, dry patches in the paint occur. 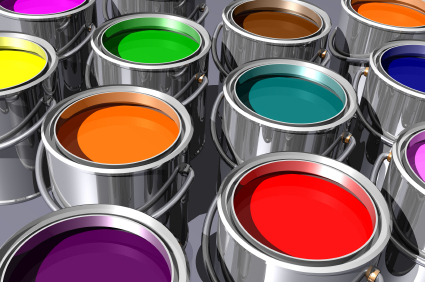 If the temperature is too cold, paint will not dry quickly enough and this causes it to run or sag. Paint booths that have heated air makeup units create a medium spraying temperature of approximately 64 to 70 degrees Fahrenheit and professional paints can be sprayed at optimal temperatures so that a wet, even application of color is produced. Get it Dry! Utilizing a heated paint booth will ensure that your paint dries properly and perfectly. Most paints dry within 30 minutes if they are exposed to the baking temperatures inside a paint booth. If paint isn’t fully dry when a job is unmasked or buffed, tearing occurs and this results in the vehicle having to be painted a second time. Electrical issues can be an issue when dealing with a homemade paint booth. This is why it is important to buy the booth from a trusted manufacturer, such as Standard Tools and Equipment Co.
Make painting your project easier by worrying less about filters, temperatures and electrical factors, and more about what color paint to use!